Celebration of Harvest with the Santa Barbara Vintners is upon us and with the endless number of wineries in the Santa Barbara Valley, there are plenty to explore. 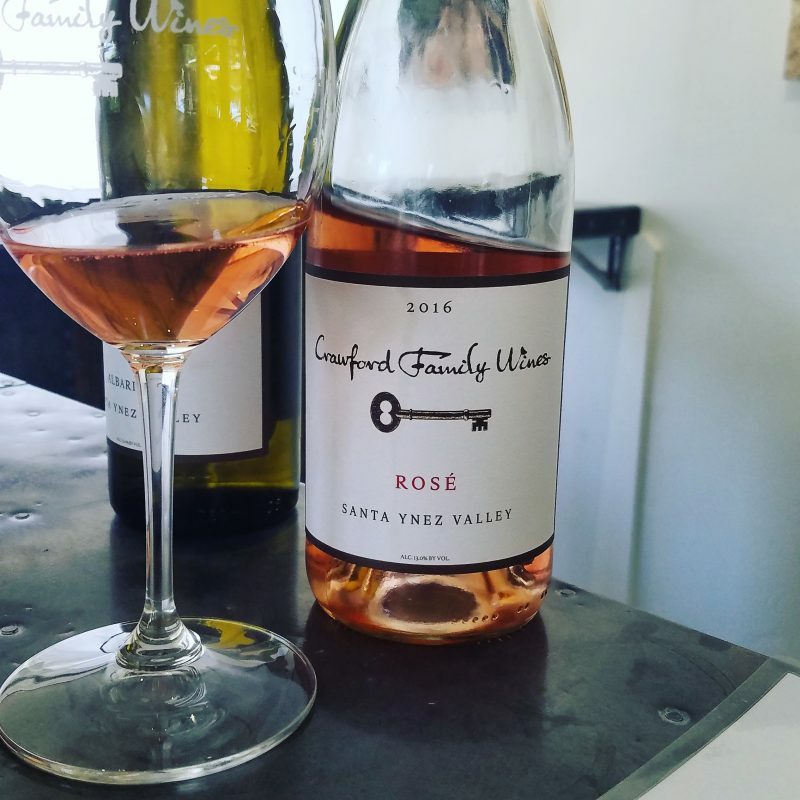 On our last trip we made a new discovery, as we visited Crawford Family Wines in Los Olivos. Mark Horvath is the owner and winemaker at Crawford Family Wines. That being so, you might ask where the name for the winery came from. 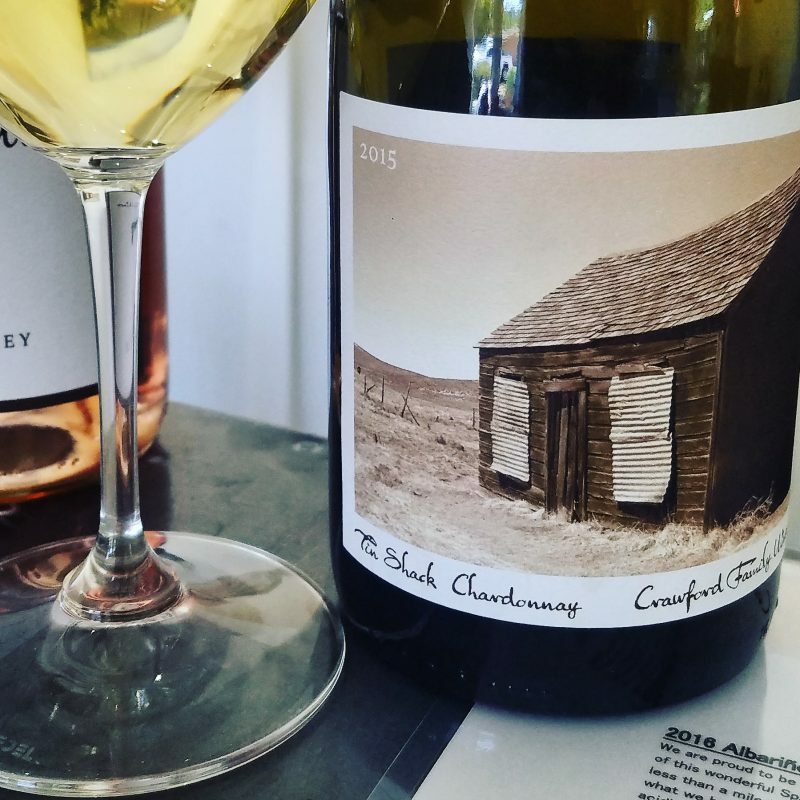 Well before Crawford Family Wines, Mark had another winery with Joey Gummere (who now runs his own winery Transcendence). They spent a bit of time batting around names for their collaborative venture, mixing and matching their names and they came up with Kenneth Crawford. Not names either of them were really known by, Kenneth is Joey’s first name, but he doesn’t go by it and Crawford is Mark’s mother’s maiden name but together…it sounded pretty cool, better than Gummere and Horvath or Mark & Joey, that was for sure. So when opening his own winery Mark figured he would stick with the Crawford, and Crawford Family Wines was born. Mark and his wife Wendy have been in the wine industry for a while. Spent time immmersed in the industry in Sonoma, with Mark working at Carmenet Winery, learning the cellar, the lab and then taking UC Davis courses. It was at UC Davis, that he ran into a bunch of Santa Barbara Winemakers. Mind you, back then there was not alot of buzz about Santa Barbara, but these winemakers had a passion and Mark and Wendy found themselves drawn to the area. Mark worked at Babcock as the assistant winemaker, then started Kenneth Crawford with Joey Gummere and recently has worked at Tres Hermanas as the winemaker.Wendy has a background in the restaurant industry, she worked at The French Laundry and at Santa Barbara’s Wine Cask and has done work with a wine distributor. 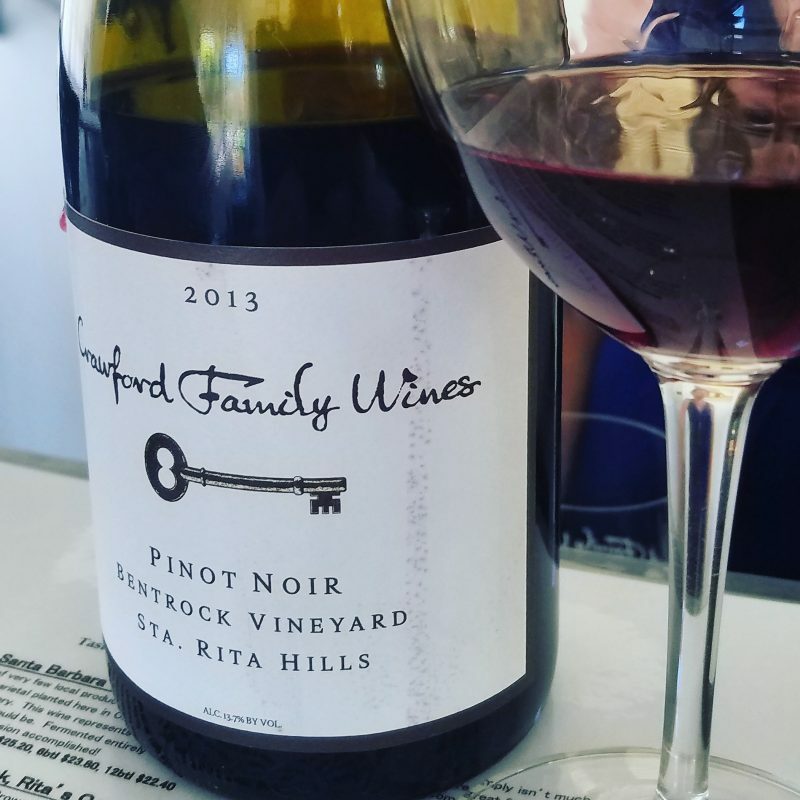 The focus at Crawford Family Wines is Pinot Noir from the Sta. Rita Hills, many of which are vineyard specific. They also do a Chardonnay from Rita’s Crown. Outside of the Burgundian wines, they have an Albarino, a Rosé and a couple of Rhones. 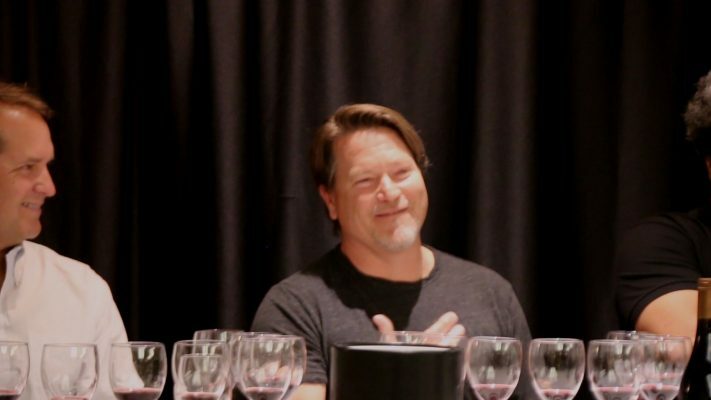 We enjoyed a Syrah Seminar on the range of Santa Barbara Syrahs in April of 2016 and Mark spoke about the cool climate Syrah he was making from the Sta. Rita Hills AVA. The day we walked into the tasting room was a Monday and we were lucky enough to find Wendy manning the tasting room. On the outside the building is rustic with a tin roof and wood siding, and beautifully manicured plants. When you walk in the tasting room is clean and bright with white walls with large vivid photography gracing the walls. While clean and sharp it’s also warm and welcoming. We had a wonderful conversation with Wendy while tasting through their wines. Yeah, one of these things is not like the others…but this is a great wine and a great grape that is getting more traction in Santa Barbara. The grapes for this particular wine come from Brick Barn Vineyard, which is located just outside the Sta. Rita Hills AVA in Buellton. The entire vineyard is 50 acres on a former horse and cattle ranch. This is only the 2nd crop of this grape. It is fermented in Stainless steel and is bright and crisp with a some lemon, some peaches and florals. This is what I would consider a Zesty wine. This wine comes from the Sta. Rita Hills, from Rita’s Crown. As the name indicates this vineyard sits on the highest point in the region, the “Crown” in Sta. Rita. The vineyard sits at 600 to 1000 feet and has diatomaceous soil. Close to the ocean, you find fossilized seashells here. It has southwest facing slopes and is surrounded by other well known, dare I say “famous” vineyards in the area, like Sea Smoke, La Rinconada, Sanford & Benedict and Fiddlestix. This wine is called “Tin Shack” because it is fermented in Stainless Steel, then put into neutral oak for a year. Only 180 cases were produced. This is meant to get the best of both worlds with fermentation and winemaking technique. The stainless steel fermentation captures the essence of the soil, the bright acidity and aromatics. The year it spends in barrel on the lees softens it and adds some complexity giving you that baking spice on the nose. The label for this wine as well as for the Walk Slow Pinot were done by Wendy’s Brother. This wine comes from probably the warmest vineyard that they source from. It is a Grenache rosé from Mesa Verde Vineyard, which is one of the southern-most vineyards in the Santa Ynez Valley, sitting just west of Sunstone. They picked early to keep the brightness, but because it is the southern part of the valley, the fruit developed some of those riper flavors. This is single vineyard wine from Bentrock Vineyards in the Sta. Rita Hills AVA. Bentrock was formerly known as Salsipuedes. This is the far South West corner of the Sta. Rita Hills appellation and is close to the ocean catching daily cold ocean winds (not breezes). This is a lean and earthy Pinot Noir, with minerality. This is a wine that has capture the terroir, you can taste the wind, the ocean, the reach for the warmth of sunlight. This Pinot is a blend of fruit from Bentrock and Babcock Vineyards. It does 30% whole cluster fermentation and is 75% Babcock fruit which is clone 115 and 24% Bentrock which is clone 667. Both vineyards are in the Sta. Rita Hills AVA, but Babcock sits down in the valley on the route 246 where as Bentrock is up on the far west end of Santa Rosa Road. The name of this wine “Walk Slow” is Mark’s reminder to himself to slow down and enjoy. This is a wine that opens up with layer upon layer, you have to slow down and experience it as it changes in your glass. The Second Street Cuvée is a GSM blend, in a Cotes-du-Rhone Style. 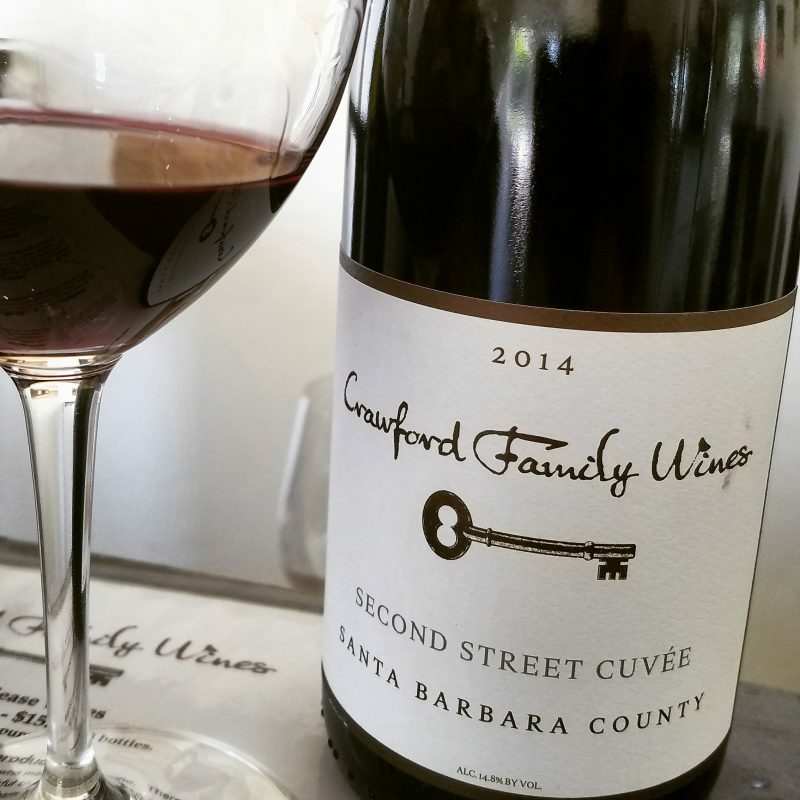 It is named after the “Second Street” where their winery is located in Buellton. It is 60% Grenache, 35% Syrah, 5% Mourvèdre from Lavando and Shokrian Vineyards. Lavando is a small vineyard that is planted at a friends ranch just outside the Ballard Canyon AVA. 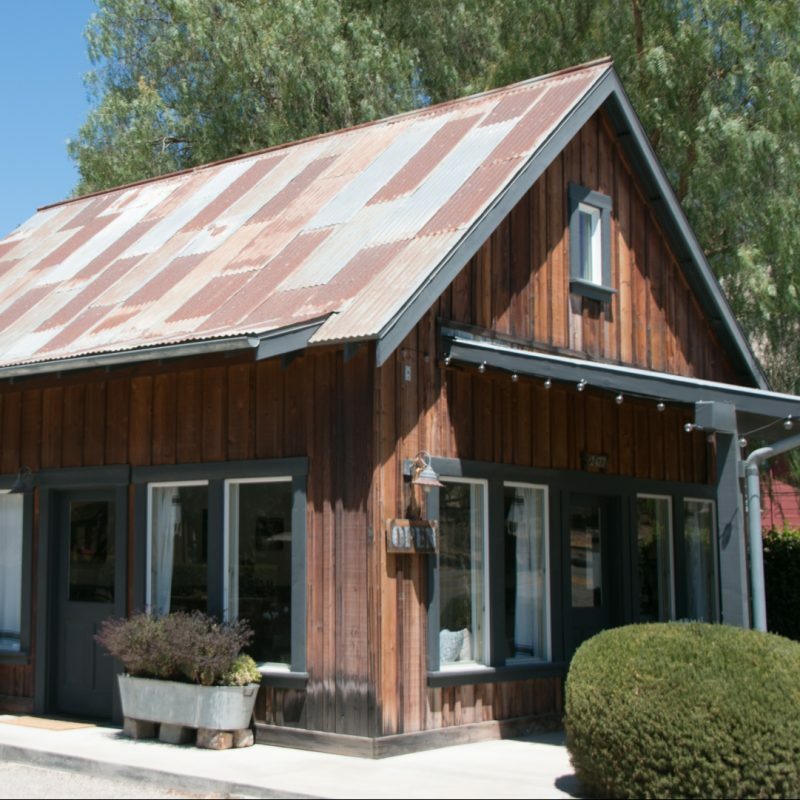 Shokrian is in Los Alamos and is owned by Babak Shokrian and was previously Verna’s Vineyard, owned by Melville. This vineyard sits across the road from White Hawk Vineyard on Cat Canyon Road. So there is a bit of distance between where the fruit grew. The fruit came from hillside blocks together give this wine an earthy fruit quality, that is very food friendly. This tasting room is not on Grand Avenue, the main road in town, but is a block over on the main cross street Alamo Pintado. If you find your self at the flagpole, head east on Alamo Pintado (past Panino) and cross San Marcos Ave. It will be on your left past Blair Fox Cellars. It is well worth the stroll to the outer edges of the town. 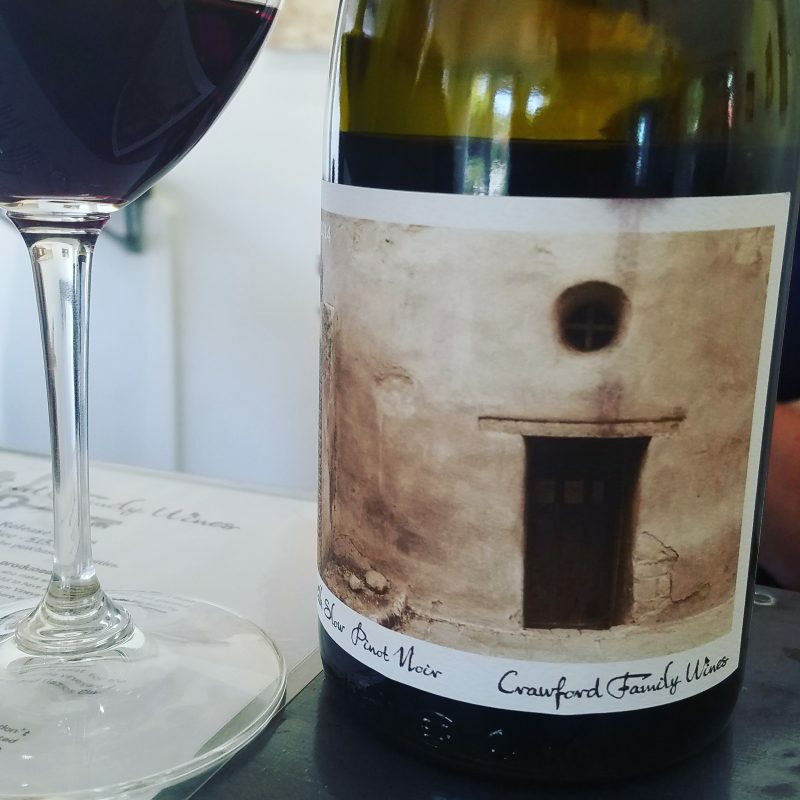 If you are hungry after your tasting, I recommend the Los Olivos Wine Merchant & Cafe, where they often serve Crawford Family Wines by the glass. Celebration of Harvest Weekend which is coming up September 29th through October 1st, is a great opportunity to taste a variety of the amazing wines from this area and get to meet some of the winemakers. There is so much to this amazing area you could spend weeks here and not see it all (trust me, we’ve tried). So take the weekend and learn about this amazing wine region that is practically in LA’s backyard. There are beautiful wines being made here and there is something for everyone. You can find out more on the Santa Barbara Vintners Celebration of Harvest site, where you can see the entire schedule for the weekend, buy tickets for the events and purchase your passport for the weekend. And be sure to stop back here! We look forward to sharing with you all of our adventures during the Celebration of Harvest. I love seeing an Albarino on the list! 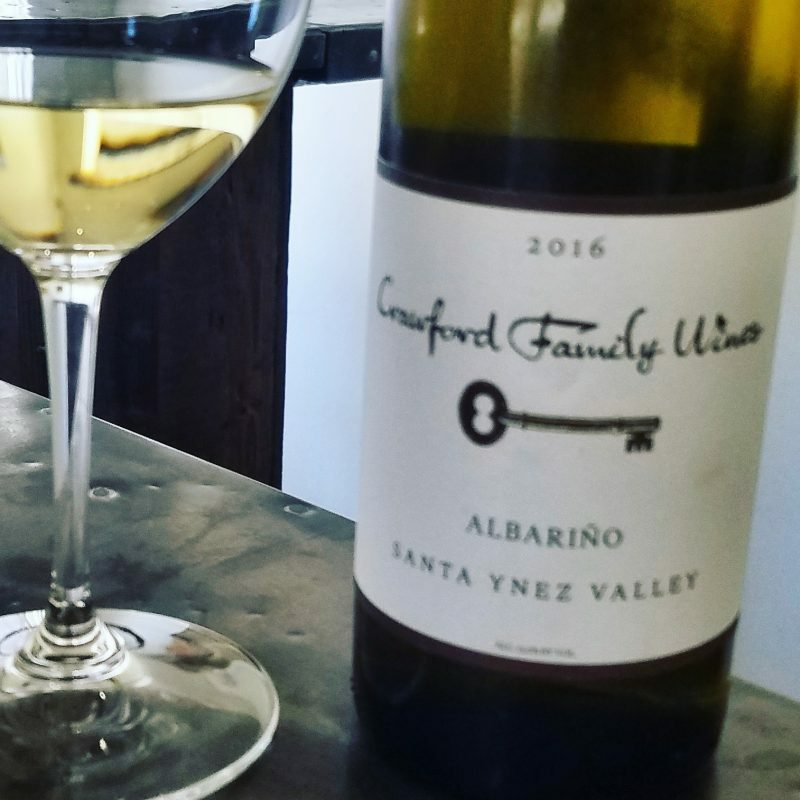 Jill, Santa Barbara has some really wonderful Albarinos. Rick Longoria of Longoria wines has a really lovely one also!